They can't help themselves. Accessories are LIFE for these crustaceans. Digging out those seasonal ornaments and sprucing up the house can bring some instant festive cheer to your home. But decking the halls isn't just for us land dwellers. 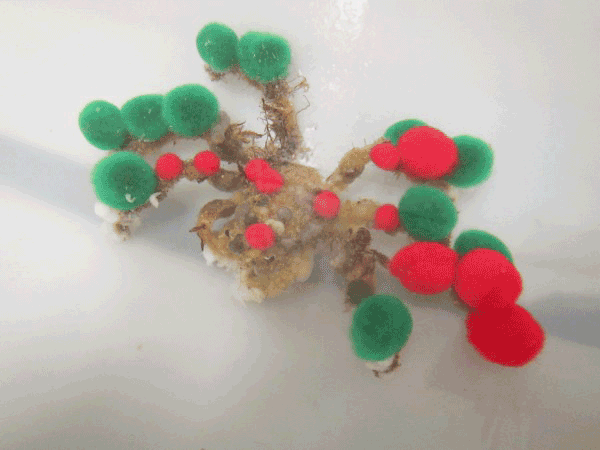 Marine biologists have known for a long time that the decorator crab (of the superfamily Majoidea) loves to adorn its shell with colorful accoutrements and other accessories. Now they're just trying to figure out why. Researchers at the University of Delaware have shown how some majoid crabs — appropriately also known as "decorator crabs" — like to fancify themselves not just for the season but all year round. About 75 percent of majoid crabs are known to enjoy using pretty much anything they can lay their claws on to get into the party spirit. That includes pieces of sponge, algae and even other tiny creatures if they are willing to sit still long enough. Some decorators — like the sponge decorator Hyastenus elatus — prefer to use aposematic sponges. Their bright colors suggest to would-be predators that the crabs produce unpleasant toxins. Others, such as the longnose spider crab (Libinia dubia), don't mess around with bluffs. They cover themselves in Dictyota menstrualis, an algae that actually does exude a poisonous chemical. It's thought that while some crabs use their disguise as a means of warding off attackers, others might use it to sneak up on prey or sit perfectly still behind a veil of camouflage, waiting for the right moment to strike. Though the full picture of why these crabs enjoy dressing up is not clear, the decorator, which lives in the Indian and Pacific oceans, certainly comes equipped for the job. 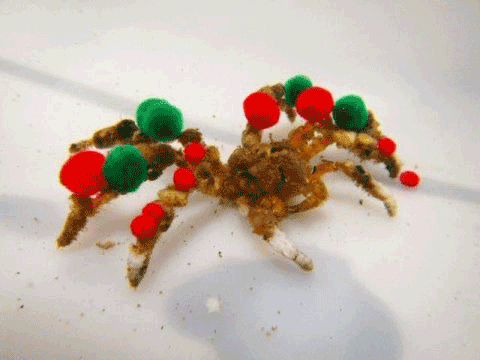 Each crab is covered in "velcro-like substances" that allow it to hang its decorations wherever it chooses. To get a better idea of why decorator crabs act this way, UD researchers gave one group of majoids their very own dress-up box. Each subject was placed in its own water-filled tank and given a selection of craft pom-poms to try on. Half the crabs were also given a house to hide in to simulate a cave or burrow. Within six hours, the scientists say, most of the crabs had fully decorated themselves. Within 24 hours, every crab had joined the costume party. And it's clear the crabs mean to be seen. Those that had a place to hide started by adorning their claws — the parts that would be most likely to stick out of their door — while those without a habitat attached their pom-poms everywhere right away. 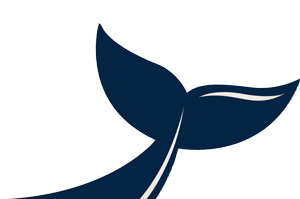 Prioritizing the most visible parts suggests defense is a primary motive. The scientists are now conducting further experiments to see if a visible predator (like an eel) in a tank next door changes the crabs' speed or pattern of decoration. After all, it's always important to get your party outfit prepared. You never know who might be stopping by for the holidays.